The name of Mahavatar Babji is so strongly connected to the Paramahansa Yogananda line of inheritance that his south indian origin is often overwritten as in the wikipedia article on Babaji. 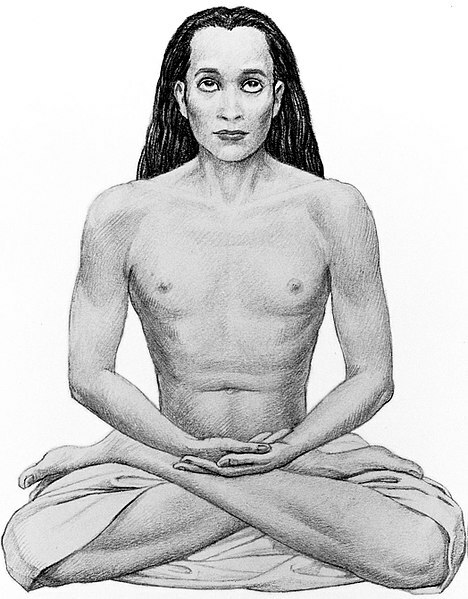 Another Indian saint often related to Babaji is Hairakhan Babaji. The birth house of the great South Indian Saint Mahavatar Babaji at the small town of Parangipettai is located near the mouth of Vellar River on the east coast of South India, 110 km south-east of Mt. Arunachela at Tiruvanamalai and around 70 km south of Pondicherry. The birth date provided on the Aalayam Kanden blogsite. 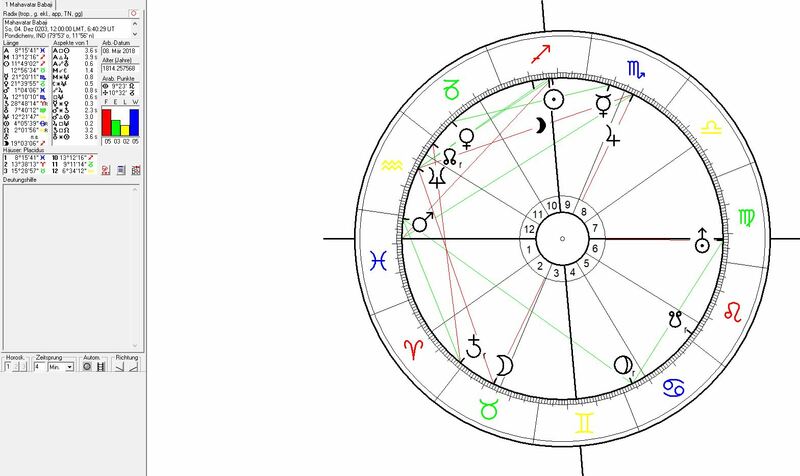 is 30 Nov 203 and the birth star (Nakshatra) given as Rohini (10°-23°20 Taurus). It has to be taken as a potential hint at the image that astrologers may have of Babji but can of course not be judged except by astrological examination. The next date with the Moon in position of Rohini Nakhshatra was 4 Dec 203 (with ayanamsa appr. -1° to -2°). I provide the charts for both dates. 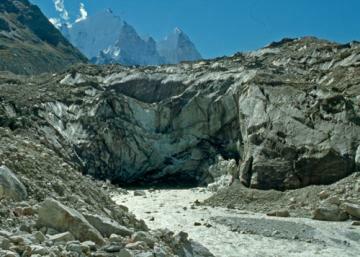 Compare the examples of the sites of the largest Shiva sculpture iin the world and of the source of the River Ganges in this combination of signs. 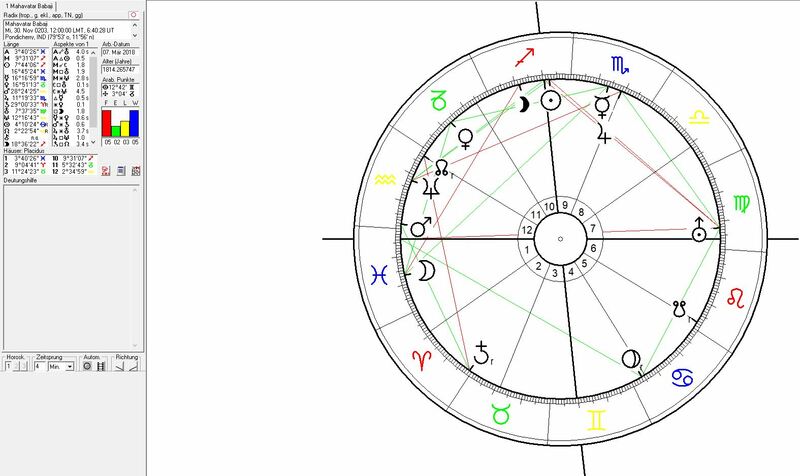 The square aspects betweeen the Mercury-Jupter and conjunction and Neptune the planet of the spiritual plane and the invisible and also the square of the Sun with Uranus relate to the sudden manifestations of Babji before his disciples as well as his disappearance. Today`s temple site at Parangipettai, Tamil Nadu is claimed to have been the birth place of Mahavatar Babaji. Astrogeographic position for morphegentic field level 4 which describes the azmosphere and energetical topics of the house itself: the astrogeographical latitude coordinate of the small temple is located on the last degrees of service orientated air sign Libra sign of harmony, balance, beauty, angels, love and relationship. The large meditation hall on the backside lies is in highly alert, defensive, solid fixed water sign Scorpio sign of death, visualization, imaging, sculpting, trauma, the underworld and an indicator for the strict appeal for perfection in the fullfillmernt of a projected image. The coordinate for the astrogeographical longitude is located in emotional water sign Cancer sign of the moon, fertility, motherhood, pregnancy, the uterus, emotional individuality and independence, rivers, lakes, water springs & indicator for the position of the temple site on a river bank. There is no other astrogeographical combination of signs more symptomatic of hindu god Lord Shiva than the combination of Cancer with Scorpio. See the examples under Related articles at the top of this page.